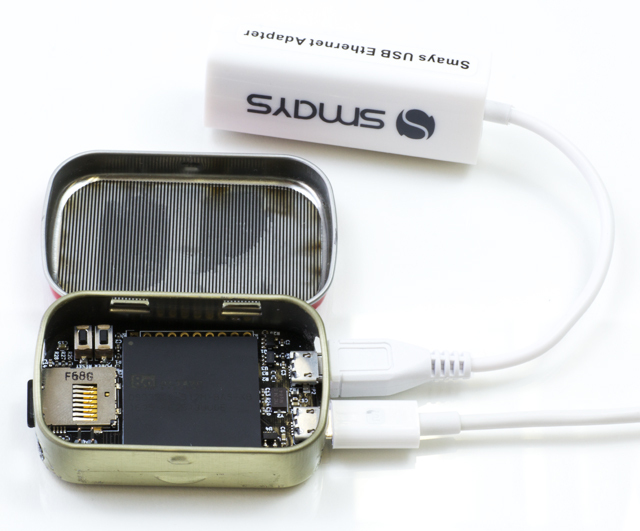 PocketBone is a miniature Linux SoM that can fit into a mini Altoids tin designed by Jason Kridner of BeagleBone.org and Michael Welling of QWERTY Embedded Design. 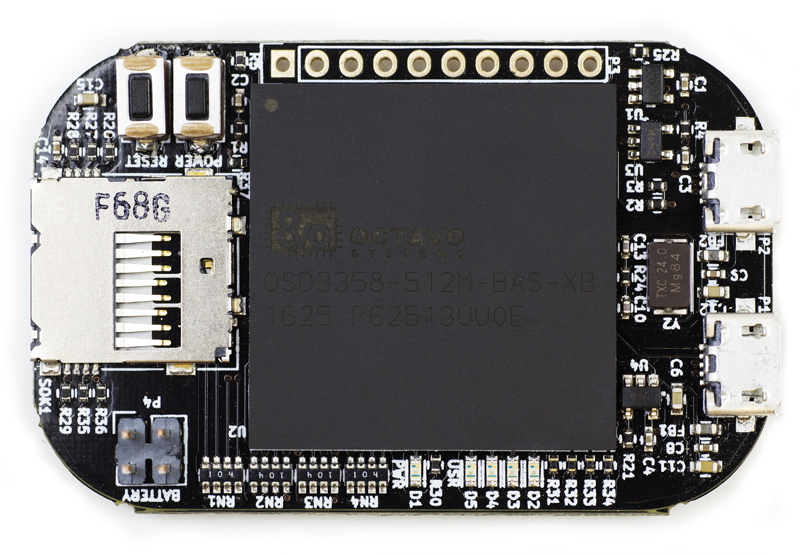 It runs the Octavo Systems OSD3558 SiP, aka the ‘BeagleBone chip’. The OSD3558 chip features a TI AM3558 ARM® Cortex®-A8, 512 MB of DDR3 RAM, 114 GPIOs, 6 UARTs, 2 SPIs, 2x Gigabit Ethernet, and USB. 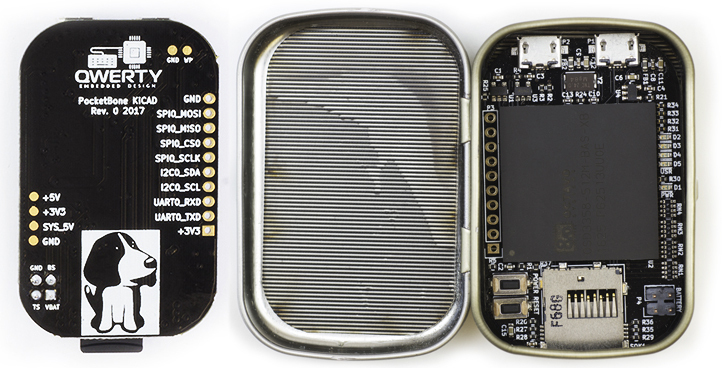 Note - this is not an official BeagleBone product.